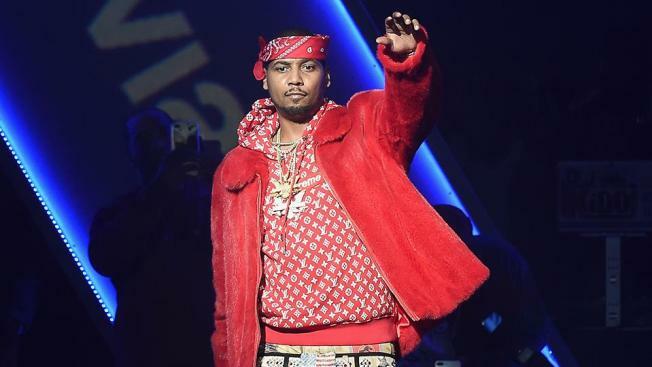 Rapper and actor Juelz Santana allegedly ran away from a security screening at Newark Liberty International Airport Friday evening after law enforcement sources said Transportation Security Administration agents found a gun on him. Santana, whose real name is LaRon Louis James, was going through the screening at Terminal C about 6 p.m. when sources said agents discovered the firearm. Sources said that once the "Love and Hip-Hop: New York" star was detected by authorities, he took off running and may have gotten in a taxi. Port Authority Police Department detectives are currently looking for the Harlem-born performer, according to sources. The TSA didn't reveal the name of the rapper, citing privacy laws, but said that a passenger going through screening around that time had a gun in his bag. When the passenger realized the gun had been found, the TSA said the man left the airport, leaving his luggage and gun behind. According to TSA regulations, bringing a weapon to an airport security checkpoint is punishable by a fine and in some cases could lead to an arrest. Fines for loaded guns can top $9,800. Representatives for Santana did not return NBC 4 New York's calls seeking comment.